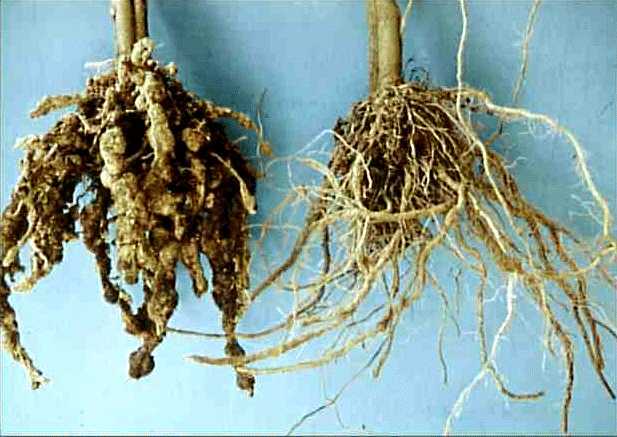 Root-knot nematodes | Infonet Biovision Home. Feeding root-knot nematodes cause root swellings or root galls, resulting in yellowing and premature abscission of the leaves. Infestation by nematodes reduces growth and yield. In nurseries, severely infested seedlings wilt and die. It is important to use clean land, and not to replant papaya in the same field.